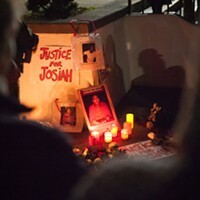 Romi Hitchcock-Tinseth of Arcata lit candles next to a memorial for Josiah Lawson. Vigil Organizers Renee Saucedo, left, and Jill Larrabee prepare to start the vigil on the steps of the Humboldt County Courthouse Tuesday night. 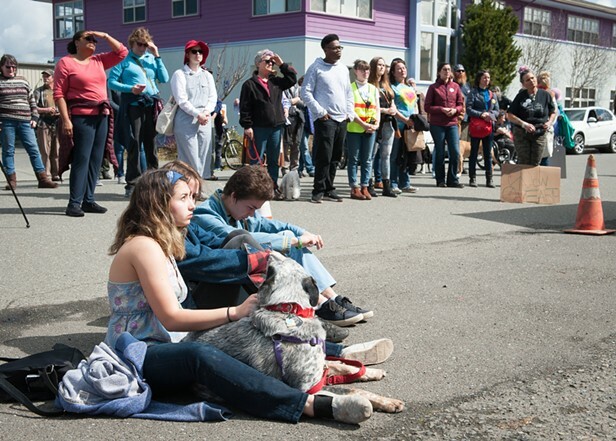 Vigil Organizers Jill Larrabee, left, and Renee Saucedo, second from left, started the vigil by thanking those in attendance. Approximately 50 people gathered on the steps of the courthouse to demand justice for slain HSU student Josiah Lawson. 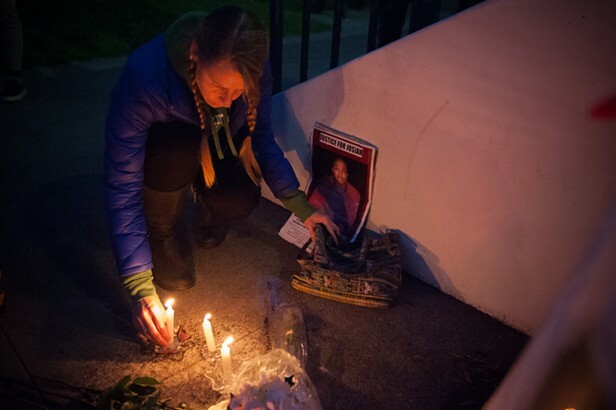 Candles and flowers lain out for Josiah Lawson in front of the Humboldt County Courthouse. 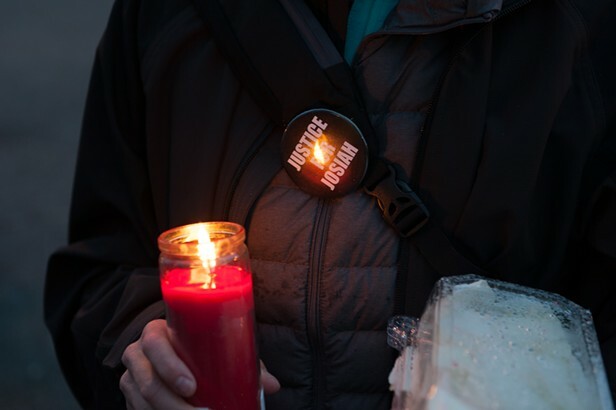 Michihiro Clark Sugata, an assistant professor of criminology and justice studies at HSU, spoke about the need for justice in the killing of Josiah Lawson, who was a student of Suguta's. Jazmin Sandoval came to study at HSU in the fall of 2017. 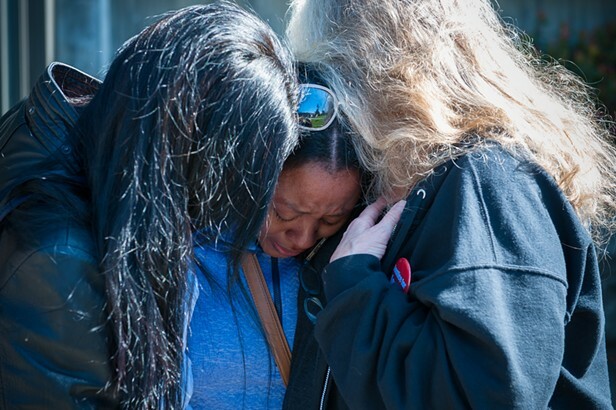 She has attended other vigils for Josiah Lawson. Reverand Bryan Jessup of the the Unitarian Universalist Fellowship and Reveverand Bethany Nass Cseh of the Arcata Untied Methodist Church ended the vigil. Cseh joked that since it was flu season people should touch elbows instead of hold hands. Members of the crowd bowed their heads while Reverand Bethany Nass Cseh offered a prayer at the close of the vigil. Members of the crowd locked arms during a final prayer.